For a little diversion from the standard church fare and coffee houses, Rita and I spent our first evening in Vienna, Austria at the Prater Amusement Park right outside of town. The park was fun but slightly bizarre by American standards. 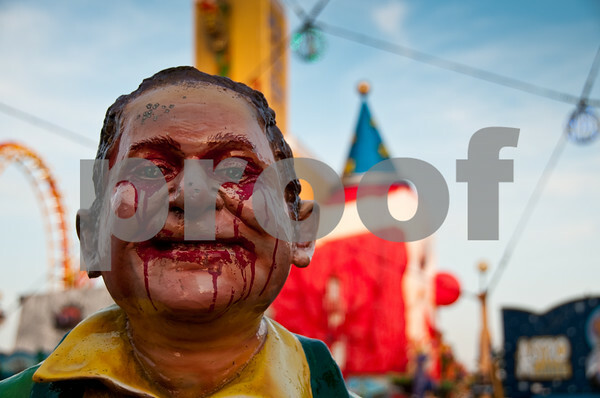 Case in point: nothing evokes happiness in a child more than a freaky looking man crying blood while seeming to be happy about it; I am going to write Disney and suggest that they modify Mickey Mouse in a similar fashion.